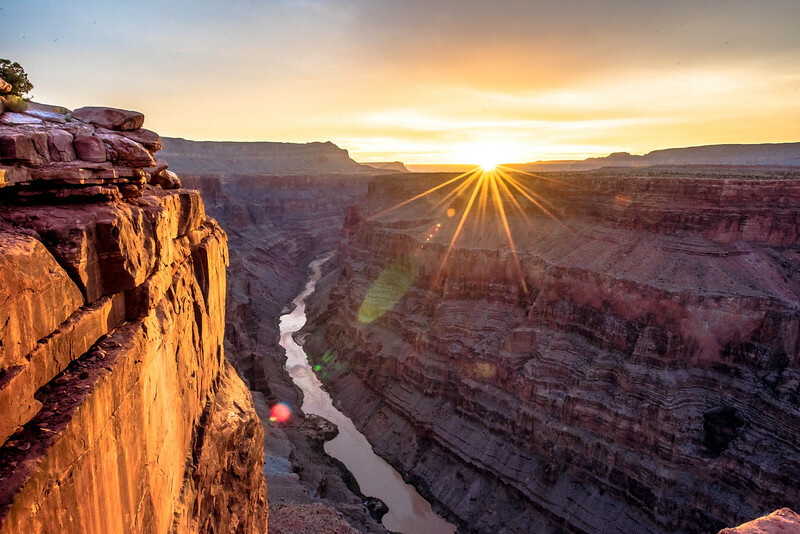 Nikon D810 Sunrise Photos of Toroweap (Tuweep) Overlook Grand Canyon Arizona! Dr. Elliot McGucken Fine Art Landscape & Nature Photography for Los Angeles Gallery Show ! Drove 60 miles down a rocky dirt road for these shots and camped overnight to shoot this Torweap / Tuweep sunrise! Toroweap, a Paiute terms,"dry or barren valley." And it was! I slept five feet from the edge all night, as I was shooting night shots of a dead tree on the edge, with the canyon and silvered river down below. New blog celebrating my philosophy of photography with tips, insights, and tutorials! 45surf.wordpress.com Ask me any questions! :) Nikon D810 & Nikon 14-24mm f/2.8G ED AF-S Nikkor Wide Angle Zoom Lens Photos of Tuweep Toroweap Overlook Grand Canyon Arizona! Dr. Elliot McGucken Fine Art Landscape & Nature Photography for Los Angeles Gallery Show ! Will be busy printing and framing in nice large, matted formats and frames and museum glass! Five of these photos will be printed on 40" x 60" floating wall mounted metal sheets! I think I know which--will share photos of the photos hanging on the walls! And I am mounting some on plexiglass/acryllic--front mounting them! Some I am printing on lossy fuji-crystal archival paper too, and then front mounting 40"x60" versions to plexiglass--will send photos! The secret to HDR photography is that you want people to say, "Woe dude--that's unreal!" And not, "Dude--that's not real!" "Unreal" is the word they use when they're trying to figure out the photo--what makes it cool--is it a photo? Is it painted? How'd it come to be--how'd you bend the light that way? "That's not real," is what they say if you have the saturation/HDR/ etc. turned up too high. :) Some (almost) final edits for my Los Angeles Gallery Show! Printing them on metallic paper at 13" x 19" and mounting and framing them on a 4mm 18x24 white mat and 2" dark wood frame. Also printing some 40" x 70" whihc is over three feet by five feet! Wish you all could come (and hang out with the goddesses)! Let me know your favs.! New Instagram! instagram.com/45surf Videos! vimeo.com/45surf I booked a major photography show at a major LA gallery in December! Will also be giving some lectures on the story--the Hero's Odyssey Mythology--behind the photography! Follow me on facebook! www.facebook.com/elliot.mcgucken Preparing for some gallery shows this fall to celebrate 300,000,000 views! Printing a few dozen photographs in ~ 30"x40" formats and mounting/framing. Here are some close-to-final edits. HDR photography 7 exposures shot at 1EV and combined in photomatix: 36 megapixel Nikon D800E with the awesome Nikon 14-24mm f/2.8G ED AF-S Nikkor Wide Angle Zoom Lens. 45SURF Hero's Odyssey Mythology Photography! Epic Scenic HDR Landscapes Shot with Nikon D800E: Hero's Odyssey Mythology Photography! Shot with the Nikon Nikkor wide-angle 14-24 mm 2.8 lens! Seven exposures @ 1EV finished in photomatix. Enjoy the Hero's Odyssey Mythology Photography, and all the best on a hero's odyssey of your own making! These were shot with Nikon's best D810 with the 14-24mm wide-angle Nikkor lens. 7 exposures were taken at 1 EV intervals, and combined in photomatix to bring out the shadows and highlights. Rather large HDR (high dynamic range) photo--you can see great detail both near and far! View the detail at full size! The Nikon 14-24mm f/2.8G ED AF-S Nikkor Wide Angle Zoom Lens rocks! High Dynamic Range (HDR) photos rock in capturing the full dynamic range of the scene! All the best on your epic hero's odyssey from Johnny Ranger McCoy! Toroweap / Tuweep in the Grand Canyon, Arizona is Beautiful! New blog celebrating my philosophy of photography with tips, insights, and tutorials! 45surf.wordpress.com Nikon D810 Sunrise Photos of Toroweap (Tuweep) Overlook Grand Canyon Arizona! Dr. Elliot McGucken Fine Art Landscape & Nature Photography for Los Angeles Gallery Show !